Please note this is an AGM battery. It is also sometimes refered to as a VRLA battery. If your vehicle has Start-Stop function (for instance, the engine automatically turns off when at traffic lights) you will require an AGM battery. To make sure, your current battery should have the words 'AGM' or 'VRLA' on the top sticker. If in doubt, send us a photo of the top of the battery and we will be more than happy to help identify it. Some vehicles (BMW, Mercedes & Audi in particular) will have AGM fitted as standard, even if there is no Start-Stop system in place. If this is the case, you will still need to replace it with another AGM battery. This is the symbol you will see as a button and dash light in your vehicle. It essentially means that you have a Start-Stop system on your car that it is either turned on or off. As mentioned before, you will requre an AGM battery if you see this symbol. 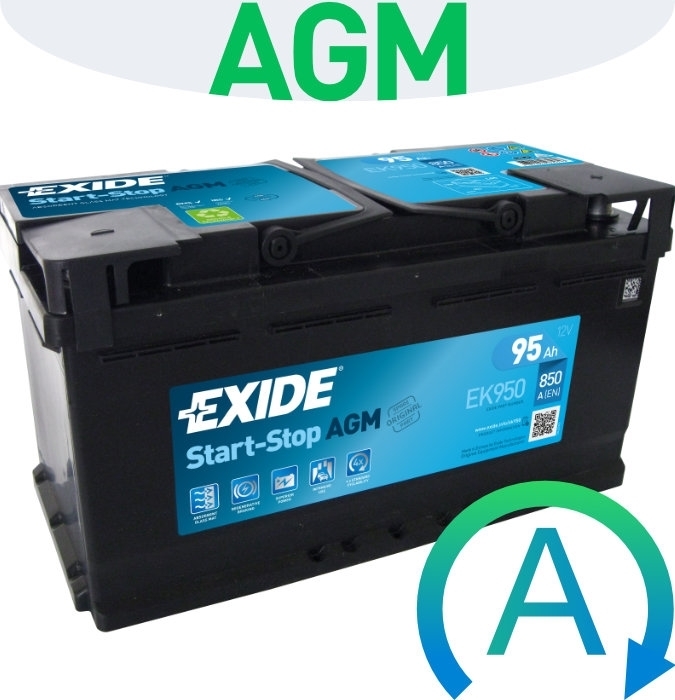 Exide launched the first Start-Stop AGM battery back in 2004. Their technology has evolved rapidly ever since, with each new generation making large gains in efficiency and performance. Exide is able to meet the stringent requirements of carmakers, giving the aftermarket confidence in the quality of our products. 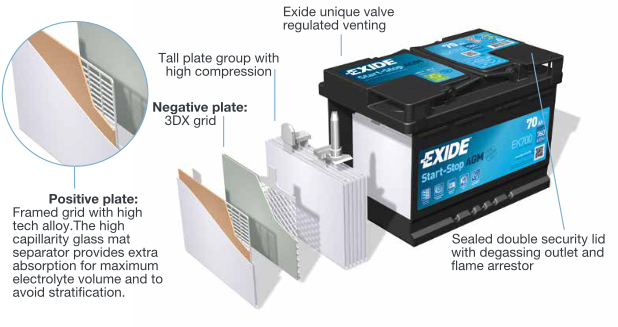 Exide’s Start-Stop AGM battery uses high-performance components and materials. It is ideally suited to cars with Start-Stop and/or regenerative braking systems. 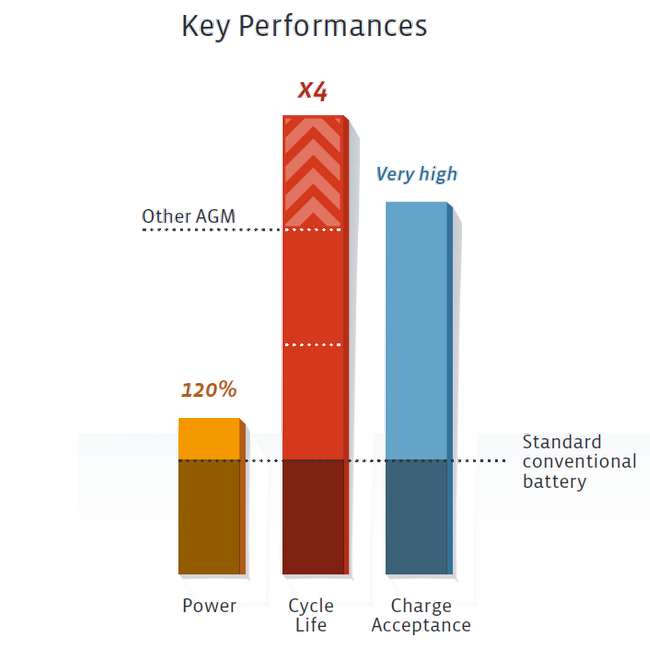 This new- generation AGM battery also supports sailing as well as other intelligent fuel-saving features. The Exide AGM is one of the latest technologies to join the line up. 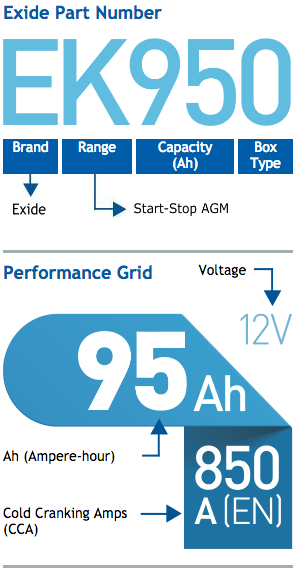 Exide themselves invented the AGM battery so we believe they know how to make a battery that performs. Exide AGM is fitted in the factory on almost every German made vehicle. They come with a 3-year warranty. 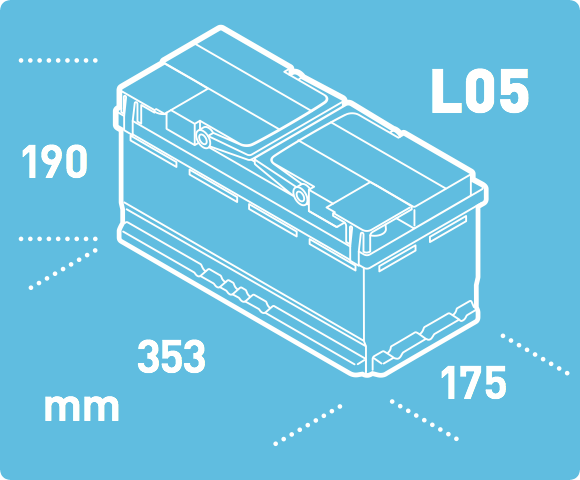 While more expensive than the standard 'wet' car battery; an AGM battery is required in many modern vehicles. So much so, fitting the incorrect technology can drastically effect the electrical system and the battery in negative ways. We have been supplying Exide for well over 40 years, and we believe their quality and value goes far above and beyond the competition.